REELIN GOOD CHARTER, LLC specializes in providing our clientele with a memorable experience of some of the finest inshore and coastal saltwater fishing available along the Gulf Coast. 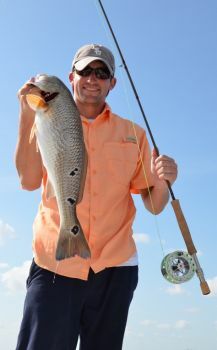 We fish the local and bays out of Dularge, Louisiana targeting game fish such as speckled trout, redfish, black drum, flounder and various other saltwater species. All of our trips are tailored to your request and we are capable of accommodating the novice to die hard fisherman. At REELIN GOOD CHARTERS, LLC look forward to the opportunity of allowing you to "Catch a Good Time."